Before I begin this post, let me start off by thanking my friends Preston and Patrick for giving me the opportunity to express some of my thoughts about the arcade and pinball landscape on their website. I have great respect for both of these gentlemen and the work they do with this website and their podcast. I am truly honored that they have allowed me to use their platform and I look forward to working with them more in the future. You guys rock! Many of you may be familiar with my work as a blogger and podcaster on the Arcade Repair Tips website. On our website, we try to keep the content strictly focused on the topic of coin-operated machine repair. As such, the articles that I will be writing here will be more opinionated in nature and are meant to start a discussion. Please feel free to share your comments, questions and/or suggestions in the comments section provided below or in the related Facebook/Twitter posts for the article. I welcome all input whether you agree, disagree or feel indifferent about the topics I discuss in my writings. Thank you in advance for your input. Now, on with the article. I was thinking recently about something I’ve heard Gary Stern (President and CEO of Stern Pinball) say several times in his seminars. The quote goes something like this: “If we don’t have pinball in the streets, a rec room buyer is going to buy the game he played when he was 20 and it’s going to look like an iPhone.” Basically his whole premise is that the operator market (i.e. making sure operators have games out on location) is the key to getting a rec room buyer 20-30 years from now to buy a pinball machine. 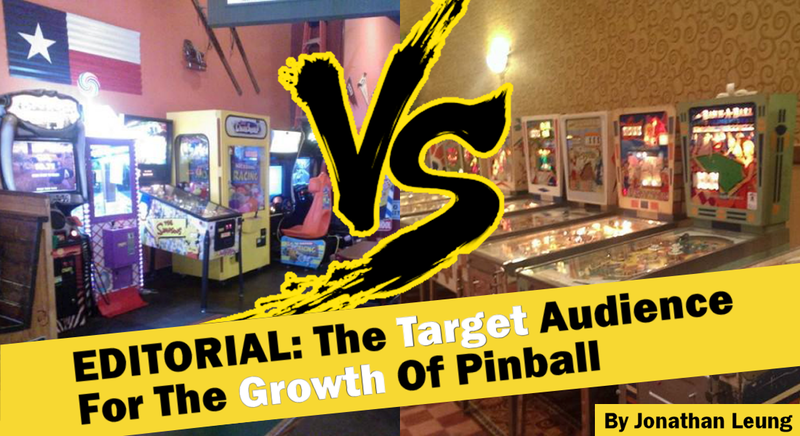 While this point of view has some merit, I would argue that the collector/enthusiast market has done more to increase the interest in pinball in recent years than the operator market and should be the target audience that pinball manufacturers are focused on. As a former operator, I understand the difficulties of having pinball machines on location. They require MUCH more attention than your average video arcade game in order to keep them playing properly. We would constantly tweak/clean our Twister machine in order to make sure the player had a great experience when they put their coin in. The problem is that there are many operators who simply don’t care about keeping their machines in working order and only visit their locations to collect the money. I’ve seen too many pinball machines “in the streets” with game-breaking issues (such as broken flippers, rubbers, coils, etc.) that end up giving the player a sub-par experience. I believe that if a player attempts to play a pinball machine that’s in a state like this it will turn them off from pinball in general and perhaps even give them second thoughts about ever owning a machine. In this case, the operator market may even do more harm than good to the affect the growth of pinball as a hobby and an industry. Before I leave this topic, let me give a BIG “thank you” to operators who do take care of their pinball machines. Whenever I find pinball machines on location that are in good condition, I try to visit that location as often as possible to support their efforts. Just know that I’ve been in your shoes and understand the difficulties you’ve been through to keep your machines in working order. Kudos to you. Now, let’s turn our focus on the collector/enthusiast market. As many of you may know, I have a gameroom in my house with 2 pinball machines: Monopoly and X-Men. We like to have guests over from time to time to hang out and enjoy our gameroom. Like most collectors, I try to keep all of my games in good, working condition. This ensures that when people come over to my house to play my games that they get a good experience. I understand that this is MUCH easier to do as a collector versus an operator simply due to the amount of play my games get versus machines that are out on location. When I see people go over to one of my pinball machines, I like to take the opportunity to teach them a little about pinball. I explain to them some basic flipper control (you don’t have to press them all the time), give them a brief introduction to the story the machine is trying to tell and describe the rules to them so they can unlock different modes like multiball. Once I’m done with my explanations, I can see something click in their mind. It’s like all of a sudden they understand how pinball works. They “get it.” At this point, that person will usually play several games on that machine so they can get the hang of it. When they are finished playing, you can see a sense of satisfaction as if they really accomplished something. It truly is an amazing thing. You see, this is the difference between the collector/enthusiast market and the operator market. Operators are in business to make money which puts a lot of pressure on them to put as many games as possible in as many locations as they can. This often stretches their resources thin, which means the maintenance of the games suffers as a result. Collectors aren’t in it to make money. They are in it just because they love pinball and they want to share that love with others. On top of just sharing pinball with others through their own homes, many collectors also bring their machines to the different pinball shows around the country. These shows (many of which are organized by people who are passionate about pinball themselves) also do a lot to create awareness of pinball to the unknowing masses. Let me say a “thank you” to all of the show organizers out there for the time and effort you put into this great hobby. You are definitely doing your part in getting the next generation interested in pinball. In closing, I would like to reiterate that there are operators out there who do a great job maintaining their games and we should definitely support those who do so. The problem is the others who care more about what’s in the coin box than what’s broken on the playfield. This is why I believe that the real audience for pinball going forward is the collector/enthusiast market. This market not only cares deeply about pinball but also evangelizes the game and hobby to their family, friends and pretty much anyone else who will listen. It is these people who should be the true target audience for pinball manufacturers, especially as the demand declines for pinball machines on location. If you would like to pen an editorial or contribute an article to Gameroom Junkies, send us an email at gameroomjunkies@gmail.com. Jonathan Leung is a founder / staff member of the Arcade Repair Tips website and has over a decade of experience in the coin-operated industry. When he's not creating arcade related content, Jonathan works as a Software Engineer and enjoys watching sports and keeping up with current events. He has been featured in numerous media outlets including Replay Magazine and the Geeks On The Mic podcast. dasbacon, thank you for your comment. I would like to believe that the majority of operators keep their pinball machines in good to moderate condition as well but I have not found that to be the case recently. 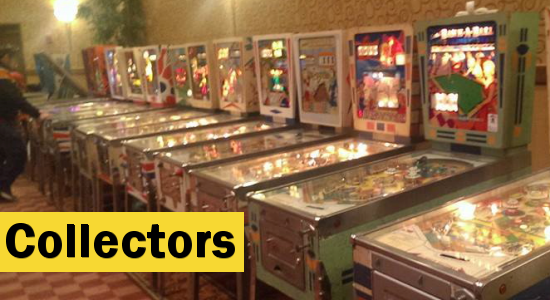 Yes, the amount of exposure a routed pinball machine gets is higher than a private collector’s machine but if the routed pinball machine is non-functional could it do more harm than good to the industry? That’s one of the points I’m trying to make with the piece. Interesting that you picked up on the non licensed titles theme. I didn’t have that in mind when I originally wrote the piece but I can definitely see how you could interpret it that way. I am also in favor of seeing more original, non licensed titles and it seems that Stern might be heading that direction with games like Whoa Nellie! Big Juicy Melons. Even though they are just manufacturing it, it’s still a step in the right direction. Pardon my french, but what operators? You can search the Atlanta area on pinside and find a handful of games but ultimately there aren’t many. 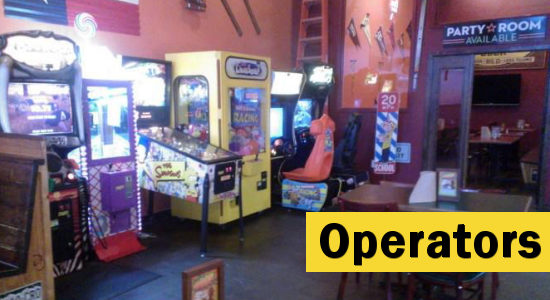 I think the worst I ever saw was a LOTR in a game room of a bar next to a basketball game, I’m pretty sure that poor machine got pelted with missed returns all the time. bakasama, thank you for your comment. Yep, it does seem like operators are a dying breed. This supports my conclusion that the target audience should be collectors/enthusiasts. Of course, we will always need pinball to be “in the streets” in some form as not everyone can afford to buy a pinball machine. Pinball Arcade provides an outlet for some enthusiasts but there’s nothing like putting your hands on an actual machine.